The announcement of those running for the 2020 Democratic party Presidential nomination are coming fast for those in the second tier….. The first tier group of Biden, Sanders and probably O’Rourke have yet to do so…. Sen. Elizabeth Warren is expected to formally announce her plans to run for president next week in an event that follows her New Year’s Eve exploratory-bid filing. In a message posted Thursday evening on Instagram, Facebook and Twitter, the Massachusetts Democrat told supporters to expect a major announcement on Feb. 9. “One month ago today, we launched this presidential exploratory committee to build a grassroots movement to level the playing field for working people,” she wrote. “Since then, we’ve traveled to Iowa, New Hampshire, South Carolina, Puerto Rico, & heard from thousands of people all across the country. I’ll be making a BIG announcement about my 2020 plans on Saturday, February 9.”…. 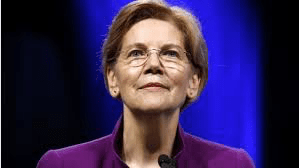 Warren has made her announcement Rabat she running…. Her problem is still gonna be the Native America thing…. And she will split the left with Sanders ….in the past she has had trouble with her political sense like Hillary Clinton…. She is running on BIG messages and moves that are NEVER going to come thru…. Right now I see her as in the second tier…. Sen. Elizabeth Warren (D-MA) told voters that President Trump might be unable to finish his term, firing back at him for the first time since his reelection campaign attacked her rollout, the Washington Post reports.